About | Autodata Products | Helping you deal with I.T. 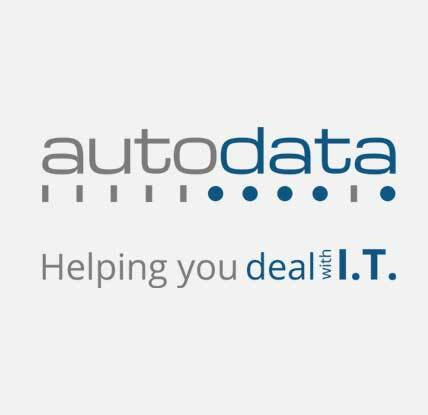 Autodata was established in 1986 (symbolised by the 11111000010 binary notation in our logo) making us one of the longest-running I.T. solutions and services providers in the UK. We focus on providing UK and global enterprises with the best I.T. products, solutions and services whilst offering unrivalled value. At Autodata we dedicate ourselves to providing exceptional I.T. services complemented by a commitment to excellent customer service, value and reliability. From wholly supported I.T infrastructures, to high-quality hardware and software solutions, we work closely with customers to ensure that they can make the most of today’s technology. Autodata employs technical staff in all key areas of technology and provides ongoing development and training to ensure that our customers receive the most expert and specialist I.T. services. This is backed up by our established partnerships with leading suppliers and proven by the high-level accreditations that we hold with the world’s biggest vendors. Our technical staff are friendly and approachable and won’t blind you with jargon. They’re always available to discuss any problems or requirements that you might have and make the necessary recommendations to ensure your business can continue to operate efficiently. Today’s businesses face many challenges when it comes to how infrastructures are set up, both on-premise and in the cloud, and at Autodata we always go the extra mile to help you deal with I.T. A selection of Autodata case studies relating to solutions and services we have provided to our clients. We partner with leading technology vendors to consistently deliver the most up-to-date IT solutions.